Skip this and go for book 2 in the series. 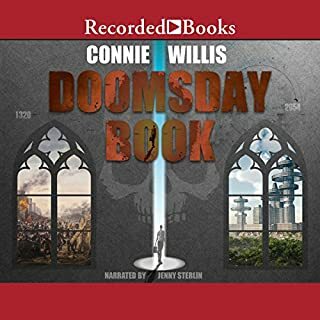 I decided listening to Doomsday Book when I learned that "To Say Nothing of the Dog" -which I listened first and loved- was book number 2 in Willis' Oxford Time Travel series. I wanted to read more from the author and maybe get to know a bit better the series universe. Alas, "Doomsday Book" doesn't have anything I liked from "To Say...", which is: memorable characters, humor, and scene tension. Instead, Doomsday Book is a long story (way too long) filled with repetitive dialog spoken by uninteresting characters and a poor sci-fi setting for a plot leading nowhere. When I say uninteresting characters, I'm not saying they're plain. Willis does an excellent job depicting a wide variety of personalities, motifs and communication styles. You can perfectly picture each of the characters in the novel and they will all have a special uniqueness to them. The flaw resides in that the reader (or listener) cannot identify with any of them, or care about them when bad stuff happens. You will simply not get engaged with the characters, not even with the heroine (if you can call Kivrin that). Talking about Kivrin, you will never understand why travelling to the middle ages was so important to her. And throughout the story she never evolves... except at the very end when, for some reason, Willis makes her act so out of character that you feel a bit betrayed. The story itself is not bad; it's just too long and repetitive and it really does not deliver any satisfaction when you're finally done with it. Also, the sci-fi side of the novel is really soft/loose. There is no explanation for the time travel mechanics, rules or "paradoxes", only statements for them (like when a character tells someone else "they're not rules, they're paradoxes. We couldn't break them if we wanted")... that's about the deepest it gets. The performance was pretty good. 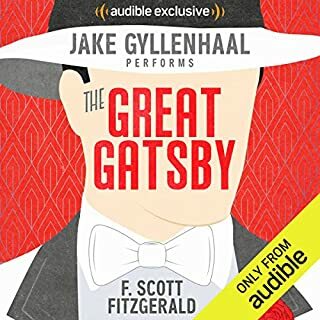 I enjoyed listening to Sterlin's different voices and intonations (even if other reviewers are right about American accent not correctly pulled out). I was amused at her ability to interpret kids and old people; and was surprised at how male characters sounded great too. Her latin is not good though. In brief... I don't recommend this to sci-fi or adventure lovers. Maybe only to non-fiction history lovers. On the other side, if you're looking for a good laugh with a bit of time travel, go for Book 2.